Conceptualised by a nutcase called Luis Wee, the Rainforest Challenge has been making grown men cry since 1997. It was first held in Malaysia and, thanks to a huge fan following, it has made its way to other countries – Italy, China, Sri Lanka, Australia, Russia and Vietnam have their own versions and, as of last year, the Rainforest Challenge is being conducted in India, thanks to Ashish Gupta of Cougar Motorsport and his crazy team. If you think of yourself as an expert off-road driver, the RFC will be the stamp of approval that will give you bragging rights for the rest of your life, even if you decide to just sit on your couch and watch TV from then onwards. 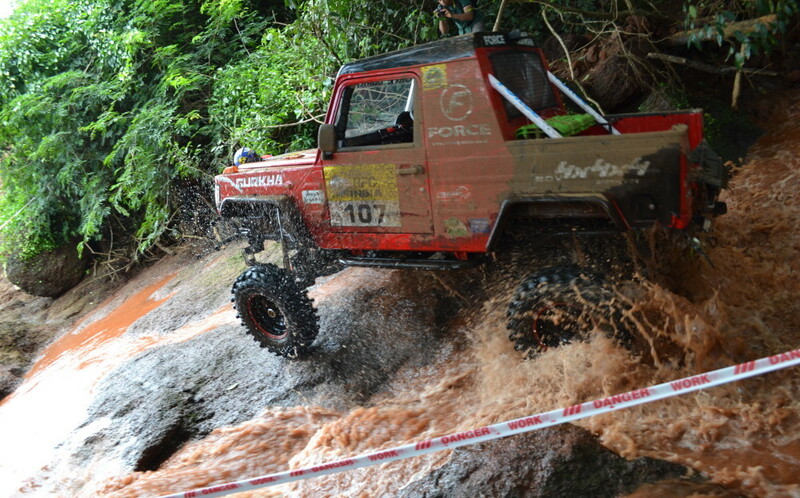 It is a gruelling test of physical stamina, vehicle durability and mental strength. The two main ingredients for any RFC event are, of course, ‘rain’ and ‘forest’. 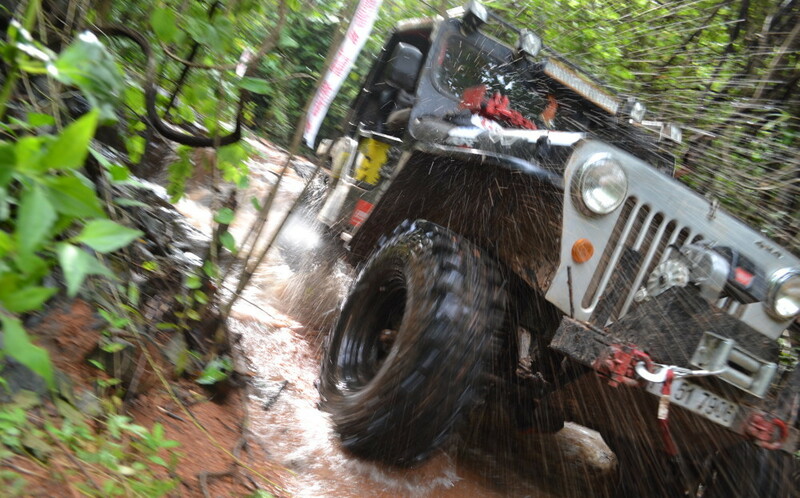 RFC India is run during the monsoon in the jungles outside of Goa. This year, the event will kick off from the International Centre in Dona Paula and after the prologue stages, the competition will move to the forests outside of Goa. After four days in the jungle, the event will return to the International Centre for the closing ceremony and prize distribution. That makes it seven days of rain and four days of forest. 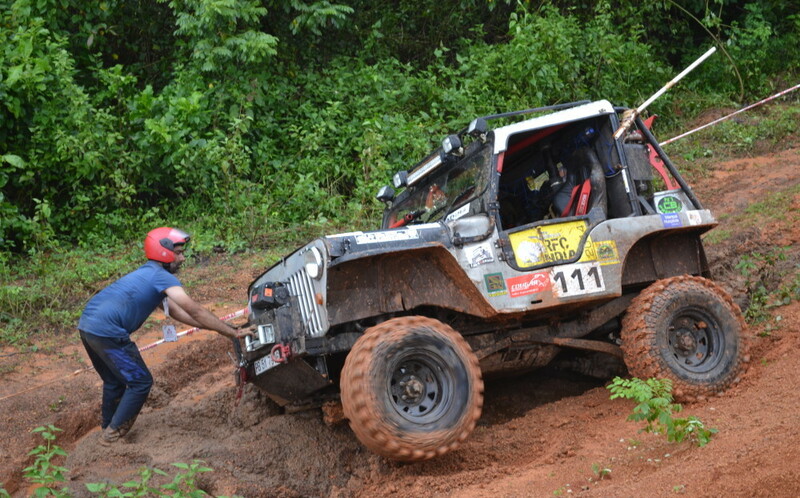 Last year was the inaugural edition of RFC India, so the organisers claimed that the courses weren’t set to the level of difficulty that the international events usually are. Despite this, the event was so tough that competitors refused to take part in the last stage, called the ‘Twilight Zone’. The stage was to begin at sundown, at which time the participants were to set off from the starting point in teams of three vehicles each. It turned out to be so difficult that the competitors initially had the organisers reschedule from dusk to dawn. Once dawn arrived and they started to attempt the stage, almost all of them turned around, saying it was impossible. Even India’s most experienced off-roaders have been known to have shuddered on seeing some of the special stages at last year’s event; we’re talking about 45-degree gradients and slush so deep that even tanks would have thought twice. Speaking of tanks, last year, a JCB excavating vehicle got stuck on one of the stages – that’s how bad it can get. It’s almost guaranteed that this year’s version will be even crazier. You can take part in two categories – as Touring Adventurers and as Competitors. Touring Adventurers get to be part of the event convoy and witness the entire event first hand. The Competitors are the ones who compete for the prizes and have to traverse the special stages. If you’re planning on being a competitor, firstly, you need globes of steel. Even spectators have been known to have soiled their pants by merely watching the competitors on the special stages, so keep that in mind. Aside from that, you will need to be incredibly fit. When you have to walk through knee deep slush hauling a winch line on your back, only your muscles can help you. You also need a specially prepped vehicle to take part in. There are four categories of vehicles – up to 1610cc petrol or diesel engines, 1611 to 2610cc petrol engines, 1611 to 2610cc diesel engines and above 2610cc petrol or diesel engines. Once you’ve selected your vehicle, you have to customise it for maximum off-road capability, keeping in mind the specific requirements stated in the rules and regulation of the event. These include recovery points rated to the right weight, a snorkel, recovery equipment such as sand anchors and winches, a 6-point roll-cage, a 4-point harness and a whole list of other stuff that you can find on the RFC website. There is also an entry fee of Rs 75,000 for Competitors and Rs 15,000 for Touring Adventurers. Aside from all of this, if you’re headed to the RFC, make sure you’re prepared to get very wet and very dirty. Carry food, rainwear, sleeping bags, tents et al along, since there aren’t any shops or hotels around the areas where the event is held, and you can’t really pick up your knife and go hunting or foraging, or even build yourself a hut if you feel like it.